No highway fund money for new roads by 2012? "The course we're on will result in no new roads in Texas in the very near future," said Sen. John Carona, R-Dallas, chairman of the Senate Transportation and Homeland Security Committee. 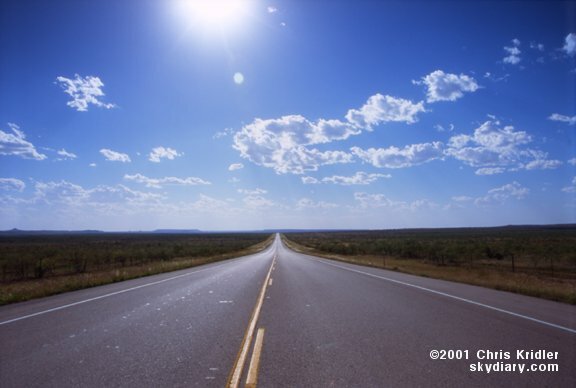 Texas will be out of money to build new roads from the state highway fund by 2012, senators said today as they pushed a measure to provide a fresh funding option. He is pressing for legislation to allow more funding, such as Senate Bill 855 to allow local-option elections to raise fees and taxes for local projects. The Senate may take up the measure today. Senators also want to curtail and eventually end diversions from the highway fund to purposes besides road building. Texas Transportation Commission member Ned Holmes of Houston said the state motor fuels tax, which supports the highway fund, is on the decline. "There will be no new capacity money after about 2012," Holmes said. "None." The state also gets federal money and uses bonds to fund roads, but officials say continued reliance on debt isn't sustainable. Toll roads also are used, but they have drawn an outcry in some areas, especially over the idea of leasing the roads to private companies. Sen. Eliot Shapleigh, D-El Paso, said since the state normally invests in toll roads, even they will not be possible without state funding. Ken Allen, who oversees freight transport for grocery giant H-E-B, voiced concern over the ability of Texas' infrastructure to meet its needs. H-E-B's deliveries head from warehouses in San Antonio, Houston, Weslaco and Corpus Christi to its 288 Texas stores and, Allen said, "Congestion is a huge and growing concern for us at H-E-B." Sen. Jeff Wentworth, R-San Antonio, said he polls his constituents and they have responded negatively to the idea of a higher gasoline tax or tolls to relieve congestion -- although they do want less crowded roads. "My constituents want to reduce congestion and increase mobility, but they don't want to pay for it. They're waiting for the highway fairy to come pay for new roads," Wentworth said. "The transportation system is in jeopardy and it won't fix itself." UPDATE: Here's another view from Ken Kramer of the Lone Star Chapter of the Sierra Club: "What is being described today as a crisis in Texas transportation funding actually presents a great opportunity for Texas leaders and citizens to revamp our transportation system to provide a comprehensive approach to improving the mobility of Texans in an environmentally sound and energy efficient way. Now is the time to commit to a dramatic expansion of mass transit in and between Texas cities, enhanced bicycle and pedestrian mobility, and promotion of clustered development to make it easier to address our transportation, energy, and air quality challenges. Roads will continue to be part of our transportation system, but we also need more commuter rail, light rail, freight rail, and other modes to have a true transportation system that will meet the needs of Texas in the 21st century."